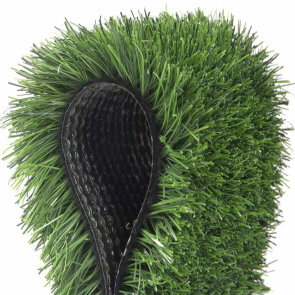 Artificial grass is a mat of synthetic fibres made to look like real grass. Most often used in sports areas it has now found a place in residential gardens and lawns, school and nursery play area and public rest areas. Artificial grass has evolved since it first grabbed media attention in 1966 when it was installed in the Houston Astrodome in Texas, this is where the name Astroturf comes from. First generation artifical turf consisted of short piles with no infill leading to a somewhat threadbare look. After 50+ years of evolution only on close inspection does Artifical Turf give itself away. Astroturf, artificial turf, artificial grass. 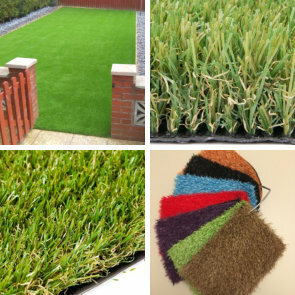 Whatever one dedcides to call it, artificial grass provides a low maintenance, all weather surface suitable for all types of gardens, recreational areas, outdooor gaming surfaces and childrens play areas. Available in a wide range of depths: 12mm to 35mm, colours, densities and textures. We have an artifical grass surface suitable for you that's indistinguishable from the real thing even at a short distance. contact us now for a free quotation for your new artificial lawn.